Treat yourself to cotton candy any day! 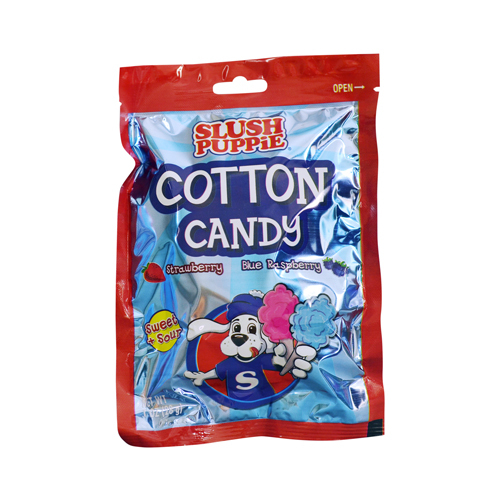 With a sweet and sour flavor that will keep you reaching for more, each bag of SLUSH PUPPiE® Cotton Candy contains a combination of Cherry/Blue Raspberry flavors. 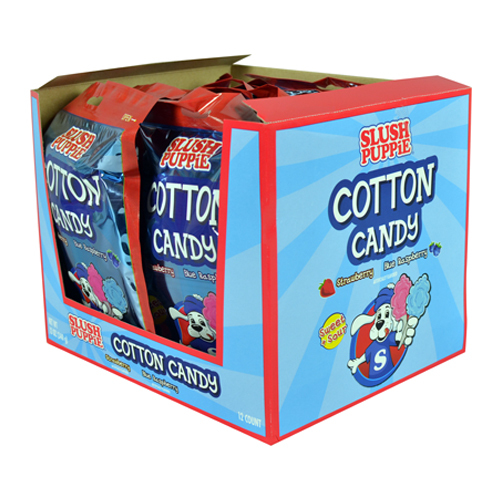 SLUSH PUPPiE® Cotton Candy Clip Strips #75062 are also available.